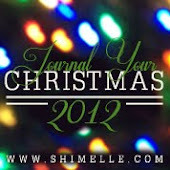 A really quick share with you today. 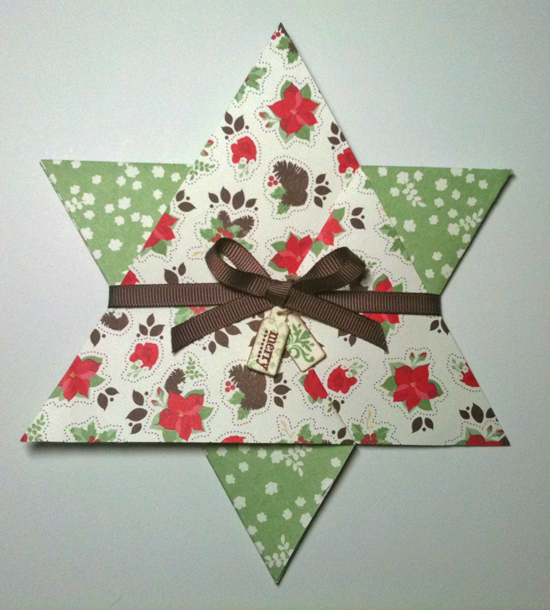 This is a fancy star fold card that is really easy to do from 1 sheet of 12" DSP. 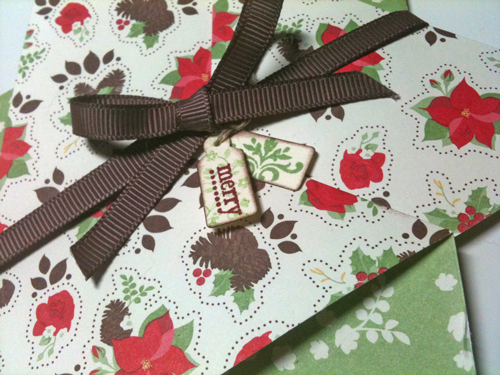 I used "Holly Berry Bouquet" speciality paper for mine. 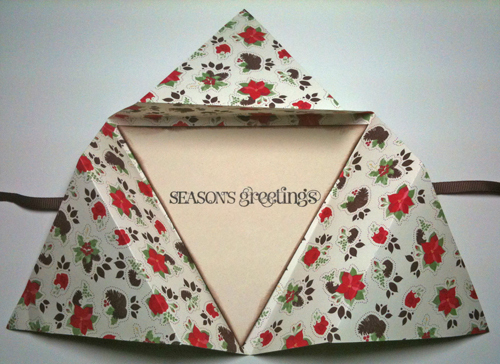 I will put together a tutorial on how to fold this card as soon as life allows :o) but in the meantime, if you would like me to come to your home and demo this card, (or anything else pretty paper related), to you and your friends, please do not hesitate to get in contact. Stamp Sets : "Curly Cute" & "Tiny Tags"
Card stock : "Very Vanilla"